The changes are intended to make it harder for brown marmorated stink bug to establish in New Zealand, says e, Biosecurity New Zealand spokesperson. The invasive pest is continuing to spread throughout Europe and the United States, she says. The proposed changes include extending the list of countries that have requirements to treat vehicles, machinery and equipment imports before they arrive in New Zealand. At present, 18 countries have pre-treatment requirements. The proposed new list will increase to 33 countries. MPI has worked with the Australian Department of Agriculture and Water Resources to get measures that are aligned, making it easier for traders and shippers to comply. 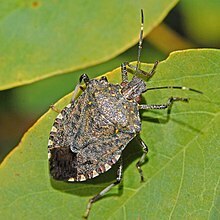 It increased its border checks of arriving vessels at the start of this year’s stink bug season. It also introduced tighter rules for importing vehicles for a number of countries. The consultations run until June 3.